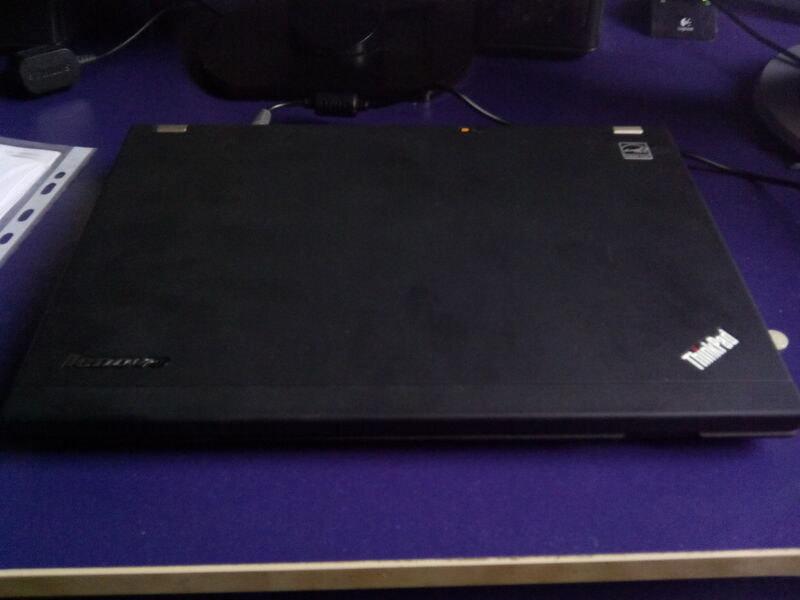 Recently I was looking for a laptop: the previous one I had (an Asus EeePC 900) was almost dead (the fan broke, and the idea of dismantling everything to get to it wasn’t appealing). 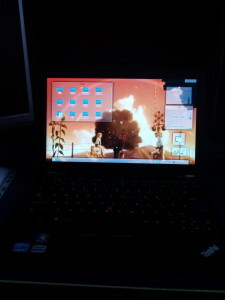 It needed to run on Linux well. No exceptions. Portable: at home and at my workplace I have rather powerful machines, so a desktop replacement was not needed. VGA output port: as part of my teaching duties I need to connect to VGA projectors in the university classrooms. I had been looking since last year, and to be honest, I was initially interested in the so-called Ultrabooks, but the price (€1000 upwards) and some limitations (non-replaceable battery, WTF?) made me reconsider. 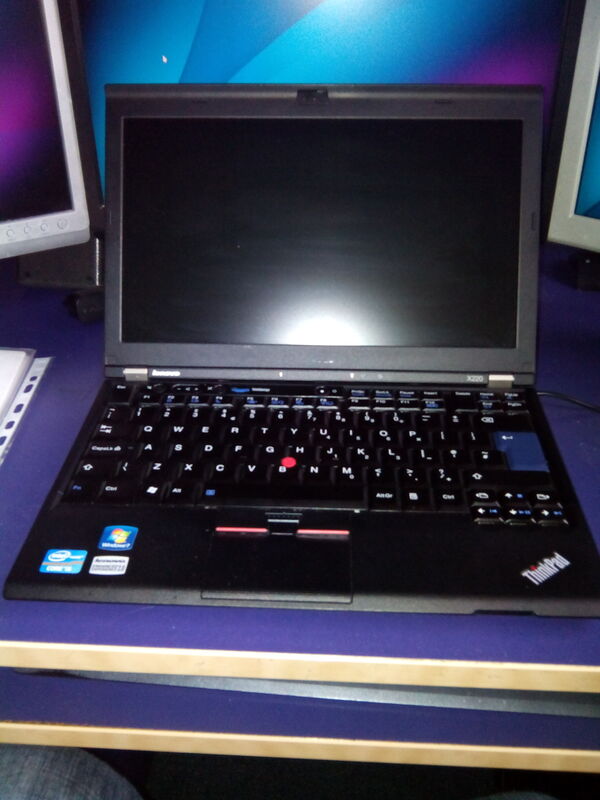 In August 2013 I had the pleasure of trying out a ThinkPad X220. Light, portable, decently powered and with an excellent keyboard. The problem is that, aside being out of production, it had a cost of € 1500 or more. It was then it I recalled that the market for used / refurbished ThinkPads is going strong..
Fast forward to two weeks ago, and I found an offer on eBay that hit the right price: it wasn’t the lowest, but it was in the EU, and even if US based sellers had lower prices I had no intention of selling my organs to pay import duties. Everything went out smoothly and I got the unit in about 5 days. As you can see, this model lacks some of the fancier extras, such as the fingerprint reader. It also misses Bluetooth, but my plan is to buy a daughterboard online and install it myself. As soon as I got it, I wiped the Win7 install (no need for it there) and proceeded with the openSUSE install. I went straight for Factory, adding KDE:Unstable:SC and KDE:Unstable:Extra for the latest and greatest software from KDE. Everything was rather painless. After install, I spend the following day tweaking the setup to obtain the best power saving: I installed DKMS, followed by acpi-call and tpacpi-bat to regulate battery thresholds. More fiddling with DKMS was needed to get tp_smapi and a patched hdaps module to install, so that the kernel could see the laptop’s accelerometers to activate the HD shock protection in case (enabled through the hdapsd daemon). Lastly, tlp was installed and configured to provide additional power saving options. On the KDE side, I configured Plasma with two activities, one for leisure and personal development, and the other for work-work activity. The net result? I’m very satisfied with it. Light, portable, durable and with pretty good battery life (I went past 4h and it had still 10-14% in). This will certainly won’t make me miss my 900, which was my travel companion for years.